We’ve won our second award of the year! Thanks to votes from the public and from people within the fitness industry we now have another trophy to add to our glowing collection. 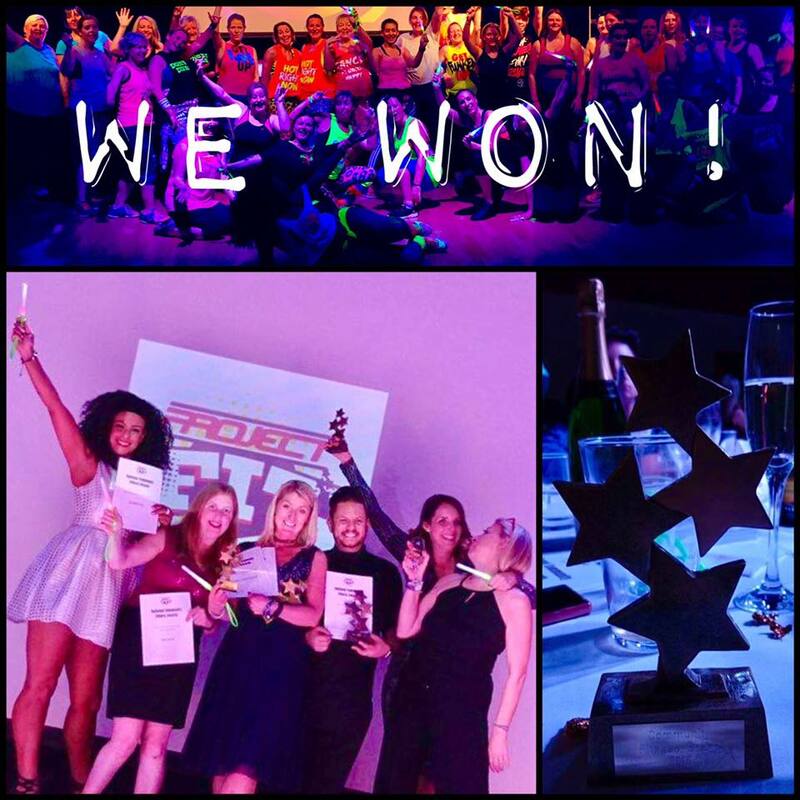 We were honoured to scoop the “Fitness Brand of the Year” award at the first annual National Community Fitness Awards, held in Trowbridge, Wiltshire on Saturday 5th November. The event was organised by Project Mayhem to honour the true heroes of community fitness. Master Trainer for People with Disabilities) took home the Highly Commended award in the same category. “We are so proud to have won the Fitness Brand of the Year award, it was voted for by the public which makes it particularly special to us. We couldn’t have done without our amazing instructors and all the people who take our classes. Together they’ve made Clubbercise a social, inclusive class that is changing people’s lives every day”. Have you tried Clubbercise yet? Find a class in your area and get glowing!